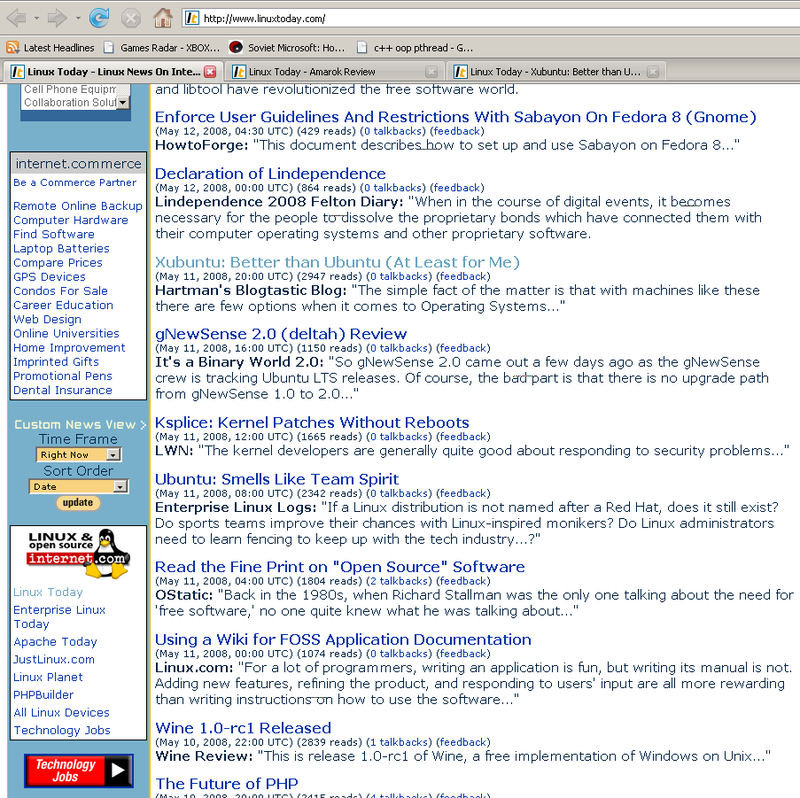 Yesterday, to my surprise, when I went to LinuxToday, I found that I had been aggregated! For those (like my wife) who don’t know what this means, it’s more or less the equivalent of a garage band being discovered and being invited to play at The Apollo. 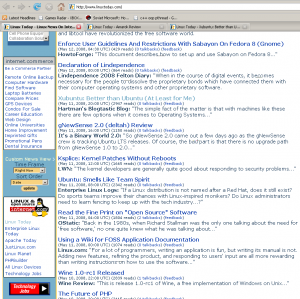 I’ve wanted to have my Linux-related blog posts aggregated on there for years. I’m happy to finally make it. I hope this means I’ll be there more often. Of course, I’m a little disappointed that this post was the one they chose to spotlight. I have had so many better written Linux-related articles. Oh well, better to get my blog out there and hopefully get posted more often than to never be posted at all.